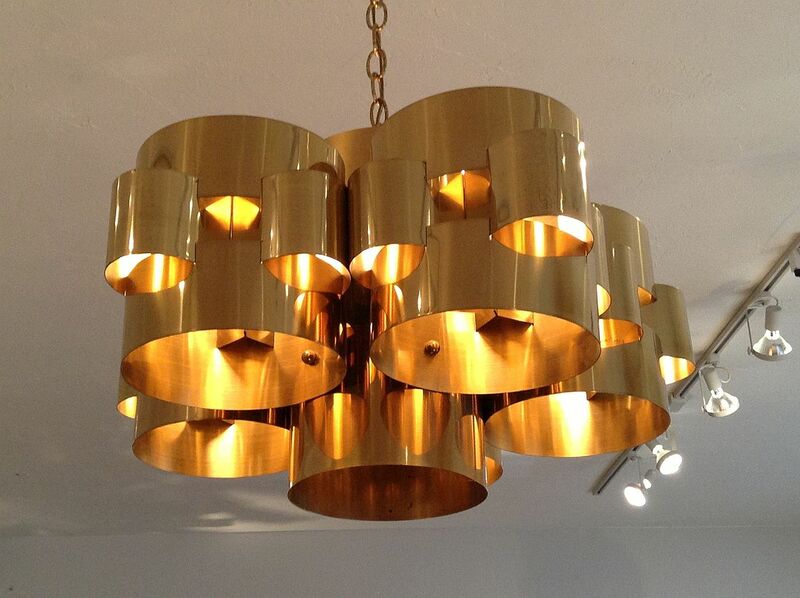 Polished brass chandelier composed of one central long cylinder flanked by five interlocking cylinders. Designed and signed by the great American mid-century designer Curtis Jere, circa 1975. 24" in diameter and the body 13" in height. Overall length can be changed by modifying chain length. Though the name Curtis Jere is familiar to many as the maker of ebullient and eccentric mid-century modern design from the 1960's and 1970's, relatively few are aware that it is a pseudonym for the design team of Curtis Freiler and Jerry Fels. Together, the two created some of the most striking and vivid furnishings and decorative objects of their era, from sculpture and dynamically framed mirrors, to lighting and wall decorations. The work of Curtis Jere displays a sense of playfulness and curiosity, while drawing on inspirations and themes that include flowers, discs, geometric forms and animal figures. 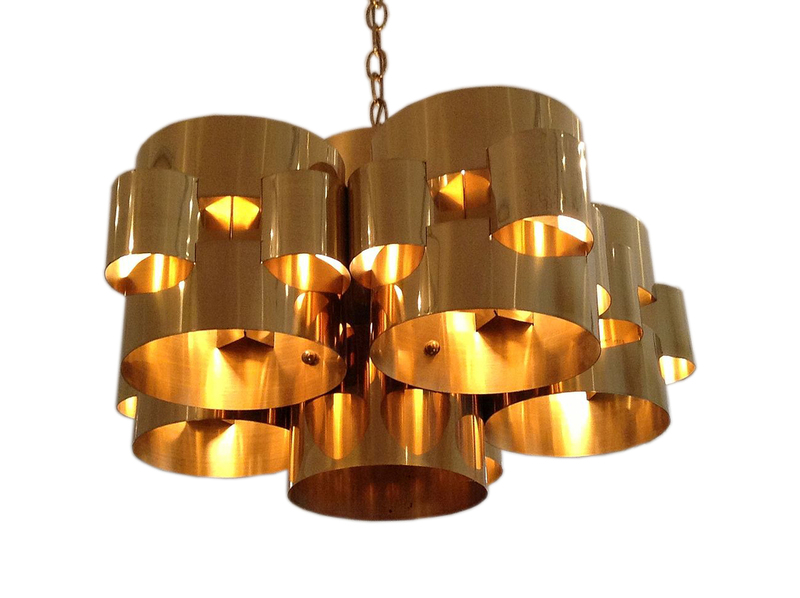 Freiler and Fels had a masterful ability to work with different materials, such as patinated brass and brilliant chrome. 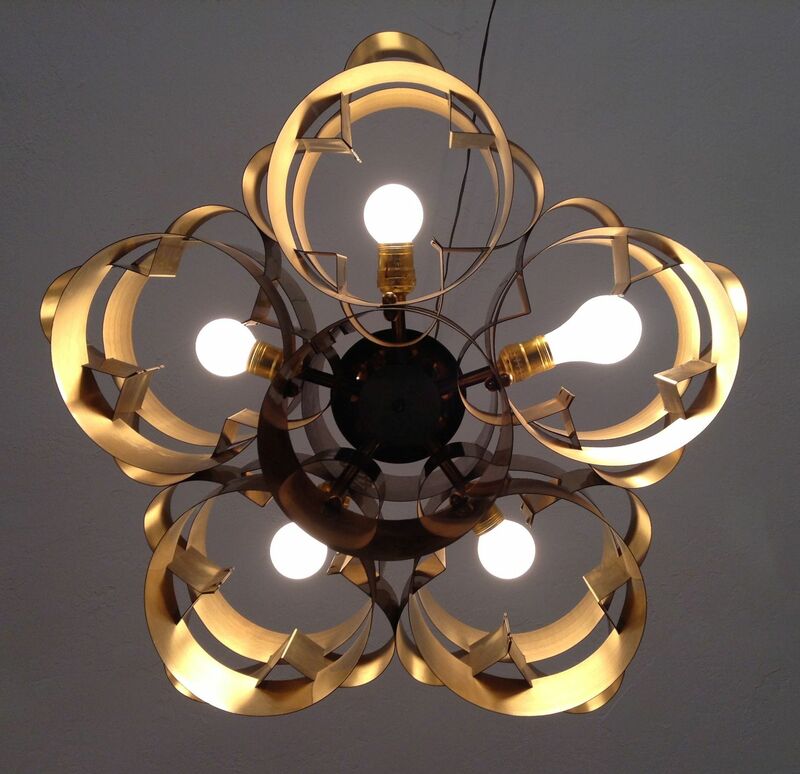 This chandelier represent one of their more collectible and iconic creations, with the chandelier design appearing in both a "cloud" and a "cubist" variation. 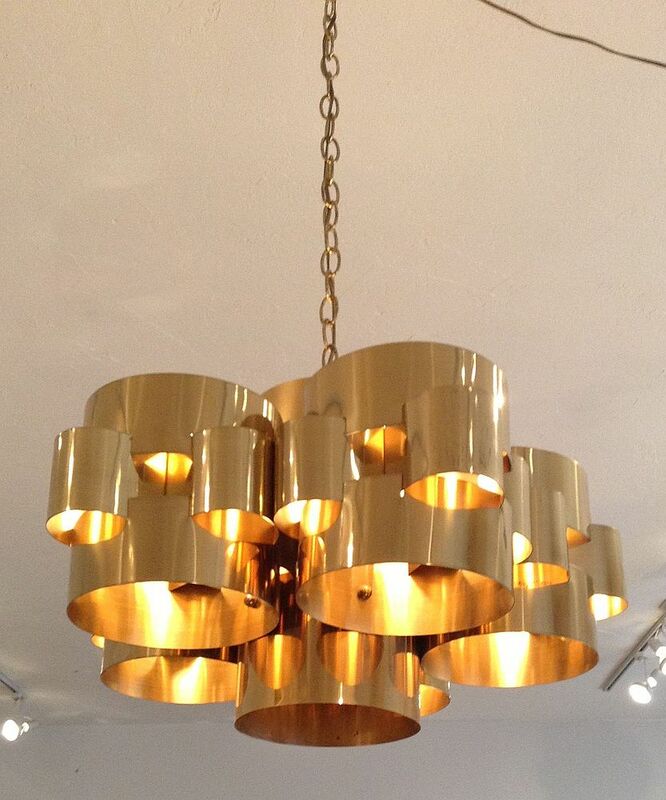 Note: A pair of two Curtis Jere polished brass wall sconces that match this cloud chandeler are available that can be combined with this chandelier to create a lovely lighting ensemble; please inquire.